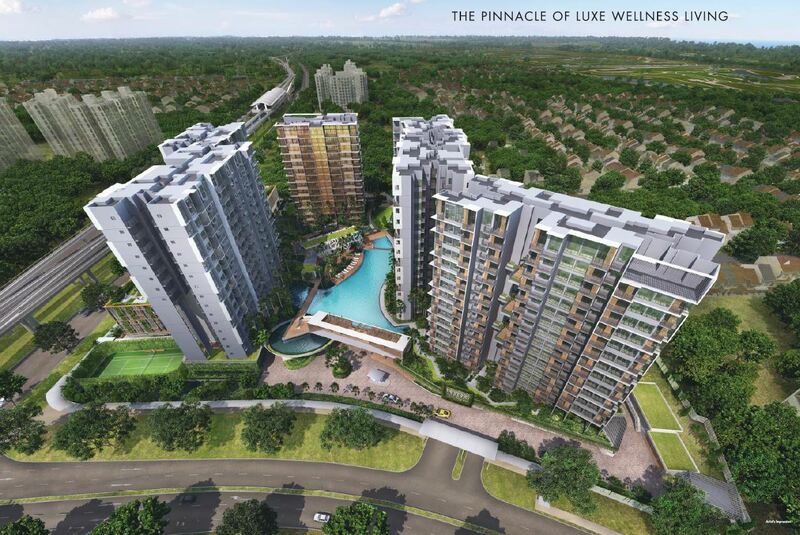 Grandeur Park Residences is a new condominium that will be launched for sale in early 2017. 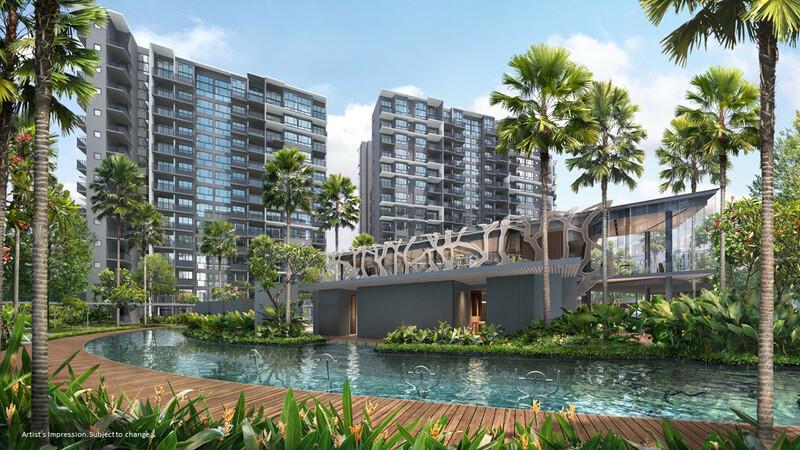 It occupies a rather attractive location – just beside Tanah Merah MRT station (with a covered linkway between, 50 metres or 1 minute walk), in a private residential estate that combines a condominium belt with low-rise landed housing. As the aerial view below shows, the south of the site that fronts Jalan Limau Kasturi (see map at end of page) also overlooks the landed homes of Bedok Ville. From there towards East Coast Park, it is pretty generally low-rise. Higher floor units facing that way can expect the south winds, and perhaps even glimpses of the sea. These units will likely be snapped up first. There are not many new homes on the doorstep of an MRT station that get unblocked landed views. If you would like to be kept updated on this Grandeur Park condo, just leave your contact details below. Location beside Tanah Merah MRT station. One of the rare sites that are right next to an MRT station. Nearest station exit is on same side of the road, about 50 metres or one minute walk via sheltered linkway, from Grandeur Park side gate. 18 minutes direct train ride to the CBD & Marina Bay Financial Centre. One train stop to SUTD, Changi International Business Park, Bedok Town Centre. 2 train stops to Changi International Airport and the exciting shopping & dining experiences of the upcoming Project Jewel at Changi Airport (See details here). 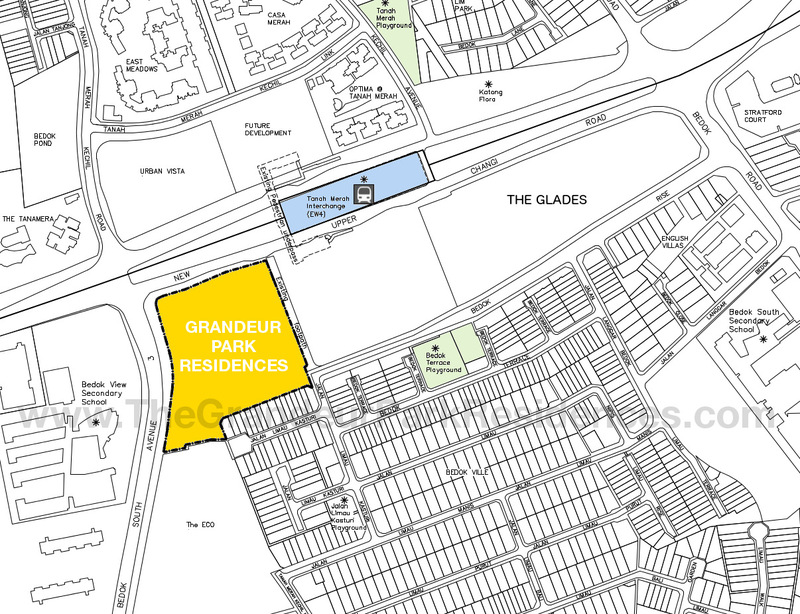 Grandeur Park Residences can expect rental demand from PMETs working at the nearby Changi Business Park, Logistics & Industrial hubs. Sited in an established residential estate at Bedok South Avenue 3. Walking distance from amenities like the Bedok Swimming Complex and Sports & Fitness Center, and the markets, shops and food centres at the HDB estate across the road. Low-rise landed housing on its south makes for a breezier & quieter environment. Close to the leisure activities and beaches of East Coast Park. The location of Grandeur Park condo makes it an attractive one for investors, as well as for parents securing a nice home for their families. Please leave your contact details here if you would like to be kept updated on Grandeur Park condo. Good chance for early birds to pick a nice unit.